will be deducted when your invoice is paid on time. 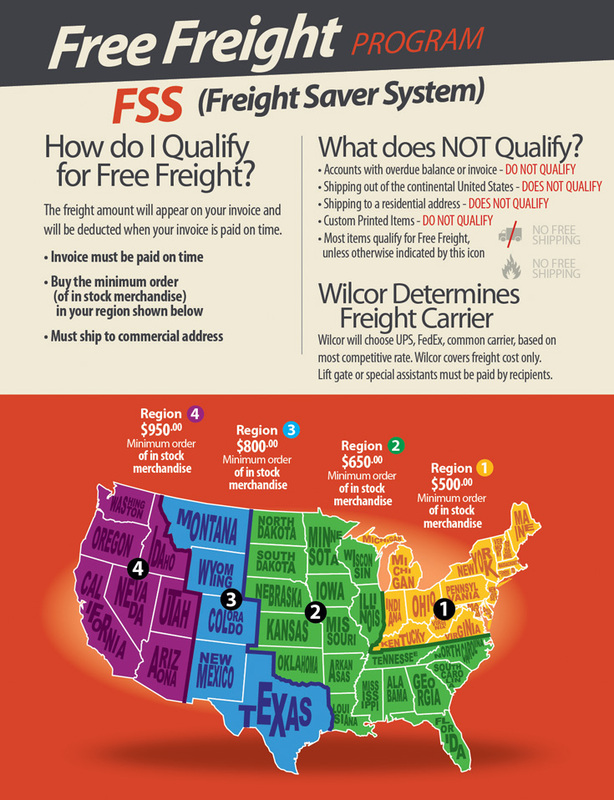 or Wilcor truck based on most competitive rate. assistants must be paid by recipients. 1. Original order must have qualified for free freight. 2. Your back order must total $150.00 or more of in stock goods in region 1 or 2.